The Public Dinner Train operates every Saturday – 6 pm. Tickets are sold on a first come basis in advance and will be held at will-call, to be picked up the day of the excursion beginning at 5:00 pm. Total excursion lasts approximately 3 1/2 hours, returning back around 9:30 pm. All aboard the Public Dinner Train! NEW – Take a CAB RIDE! Here is your chance to ride in an actual working locomotive. We have one seat available inside the cab of our 1962 GP-30 locomotive for that rail fan looking for the ultimate train experience. The engineer will explain the workings of the locomotive and all of the safety measures he is required to know and practice. NEW - Take a CAB RIDE! The train’s route is a 25 mile round trip journey from Bond Hill past Lunken Airport and alongside Riverside Drive to Theodore Berry Friendship Park in downtown Cincinnati and then heads back. 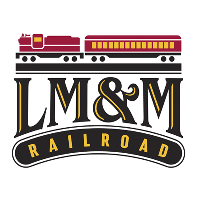 Train departs promptly at 6:00 pm and returning approximately 9:15 pm every Saturday mid-March through December. Delicious appetizers, salads, entrees, and desserts are served on the Cincinnati Dinner Train! Our kitchen staff can accommodate many dietary needs. Just let us know. We also offer a wide variety of drinks including beer, wine, liquor and cocktails. Be sure to check out our signature drinks. It will be hard to pick a favorite! Book your table on the train! Reserve your spot on the Cincinnati Dinner Train! Seats on the train are always going fast. The train typically sells out two to three weeks in advance, so click or call and get yours today! Our reservation office is open Monday through Friday 8:30 am to 4:00 pm. Our office is closed Saturday and Sundays. 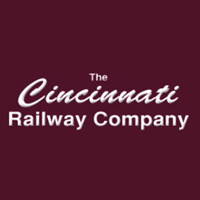 The Cincinnati Dinner Train – Tour the scenic areas of Cincinnati in beautifully restored vintage railcars, while being served delicious salads, appetizers, entrees, and desserts! There’s nothing like dining on white table clothed tables while watching the scenery slowly go by as your dining car gently meanders down the track. The Cincinnati Dinner Train operates every Saturday throughout the year. Some of its features include dining for up to 148 people on three vintage dining cars. Also featured is the Queen City Tavern car with a full service cash bar, music, and two open side doors for viewing as we travel the city of Cincinnati. The Silver Sword is our newest car to join our consist giving us additional dining, lounge, and a second bar area.